James has been significantly involved throughout the local community for a number of years and is devoted to providing the best possible care to his patients. With a strong focus on the biomechanics of the human body, James’ unique hands-on approach allows him to offer a complete and thorough method to managing injuries and overall enhancement of wellbeing. James’ involvement with elite and local sport clubs: treating their athlete’s injury and enhancing athletic performance, allows him to provide a “multi-modal” approach to all patients under his care. James has a special interest in Functional Training and Pilates. He applies these principles to excel not only sporting performance, but also overall function through everyday life. Jackie is an integral part of Incline Health and has many years of experience as both a chiropractic clinician and a university clinical supervisor. With a strong focus on manual therapy and rehabilitation, Jackie is an expert in returning patients to full function and pain free in the quickest time possible. Jackie has a particular interest in treating neck issues and headaches that has lead to her innovative “take home care” programs. Jackie has a strong passion for patient focused care allowing her to give maximum benefit to all her patients under her care. Her close relationship with local GPs and other therapist allows Jackie tackle complicated cases with the upmost success. This multi disciplinary approach enhances all her patients care. Sonia is Incline Health resident massage therapist and an integral of corporate massage and wellness programs. Sonia has a vast experience in dealing with postural syndromes, repetitive strain injuries and assisting in return to full function. Sonia has worked extensively with various elite sporting teams including the Australian Rugby Union and a number of NRL teams. 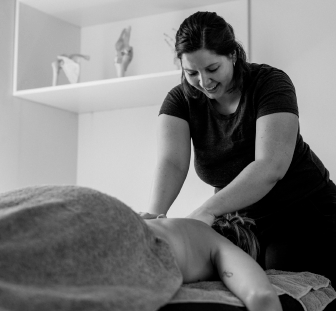 Through remedial therapy, myofascial release, trigger-point therapy and deep tissue massage, Sonia can relieve effects of everyday stress, headaches and muscular tension. Have passion for her work allows her to be a sought after therapist in the inner west of Sydney. Riannan is the newest member of the Incline Health team, joining us as a massage therapist with clinical, sports and corporate experience. Riannan’s extensive experience allows her to assess client needs and provide hands on, first class care, to obtain amazing results for her clients. Riannan has worked with some of Australia’s best athletes including; Cricket NSW, the Australian Rugby 7’s team and a number of NRL Teams, recently touring with the Australian Rugby League Team during the 2017 World Cup as one of their primary sports therapists. As a current international basketball referee herself, Riannan understands how important it is to have your body working in peak condition for all times of work, rest and competition. Riannan’s utmost pride and professionalism in her field mean that she is one of the most sought after therapists in Sydney. we’re here to help or just have a friendly chat.